Sometimes I think Badriyya has perhaps been the most important woman in my life, despite the fact that she is a long way from me in spirit these days. I have shared with her a cup and a salty loaf — as we say — and important period of our lives, and memories I could not share with anyone else. I am amazed both and how little we have had in common and at how powerful and influential our relationship has been. In any case, for me to stop living in it, the past would have to be dead — and it wasn’t. The past was alive and well, in one form or another, and it not only co-habited with the present but continued to wrestle with it. He asked me questions with the single-mindedness of an inquisitor, reducing me to tears, forcing me to tell him that he was right, that his ancestors, who were like pieces of ancient furniture, were treasures the like of which would never be found again, that he, like his elders, was an inimitable man, and that I knew I should thank my lucky stars every day that I had found him. The result was that his real self seemed to have gone astray, and he was no longer sure he would recognise it or its distinguishing features, making him resort permanently to this other self, the reassuring, well-trained performing self. I have seen a few “which book should/win” surveys, like this one on GoodReads (Our Master is at the top, but its nine votes lack statistical heft), and others on Facebook, but no LadBrokes betting yet. After the prize is announced, the winner — who will almost certainly be less camera-shy than the brilliant-but-spotlight-hating Rabee Jaber, the 2012 laureate — will give a talk at the Abu Dhabi International Book Fair (ADIBF), which is set to begin tomorrow. 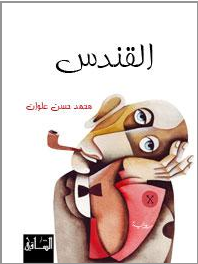 Several others on the list (Sinan Antoon, Ibrahim Eissa) are also on the ADIBF schedule. You can follow more about ADIBF here and at Publishing Perspectives. Note: My cousin Ali over at Tunisian Literature (in English) announces that the 17th Golden Comar was announced and that the Arabic version of the prize was not awarded. If the IPAF is not awarded, you’ll find me, somewhere in Abu Dhabi, slamming my head against a wall. However, there were two Arabic-language prizes handed out: The Jury Special Prize was awarded jointly to Abdelkader Letifi for his novel Arrihla al hintatiya or The Pilgrimage of Hentati and Hafidha Gara Biban for her novel al-Ara, or Nakedness. The Discovery Prize was awarded to Abdelhamid Arraï for his novel Fin’tidhar as’saâ’sifr or Waiting for the Zero Hour. 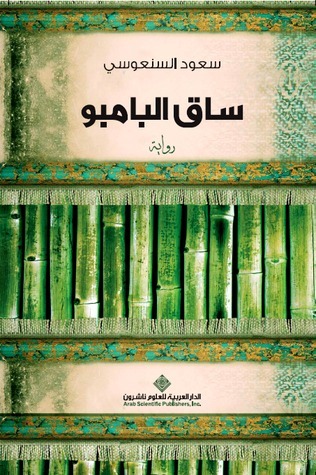 The French-language prize went to Mokhtar Sahnoun for his novel Le panache des brisants. *About the translators and more on the excerpts here.